Paneer is basically home made cottage cheese which is used a lot in indian cooking both for savory and sweet dishes. I have a video on how to make the basic paneer and then you can either have it on its own or put it into any sauce. Just choose from the array of sauces i have (tandoori, butter, palak, curry etc) and instead of chicken, fish etc just put this fresh cubed cheese and you have a lovely paneer recipe. 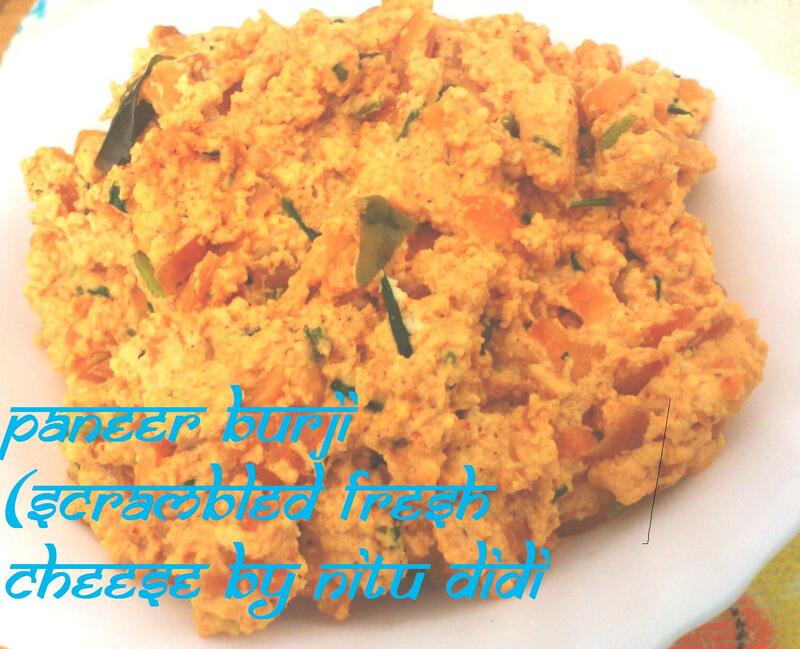 Burji is the “desi” term for scrambled. This particular recipe of mine just uses tandoori spice powder but if you dont want to use that you can use a mixture of coriander, cumin and turmeric powder. The use of kasuri methi gives this dish its special touch. a few curry leaves (thank you Dipa for them!!! Heat the oil in a non stick pan and add the cumin seeds and let them splutter for about ten seconds and then add the curry leaves and the grated ginger and let that cook for another ten seconds. Add the chopped onions and add some salt and let the onions soften a bit. Add the chopped green chillies together with the tanduri spice mix and let it all cook till mushy. Add the drained soaked kasuri methi and let it all cook together. Add the capsicum and cover for a little bit so the capsicum softens just a tiny bit. Lastly add the paneer and mix well with the chopped coriander leaves till everything is well mixed. Cover for half a minute so that the paneer is heated through. This is best eaten with naan/pita bread or can be filled in wraps or even makes an excellent canelloni or pancake filling. You can even use this as a canape topping… so many ways for one dish… simple and yet delicious…can be also made with tofu. You can also add some ketchup, chilli sauce, add some more vegetables if you wish such as grated carrot and cabbage and give it a special touch!! 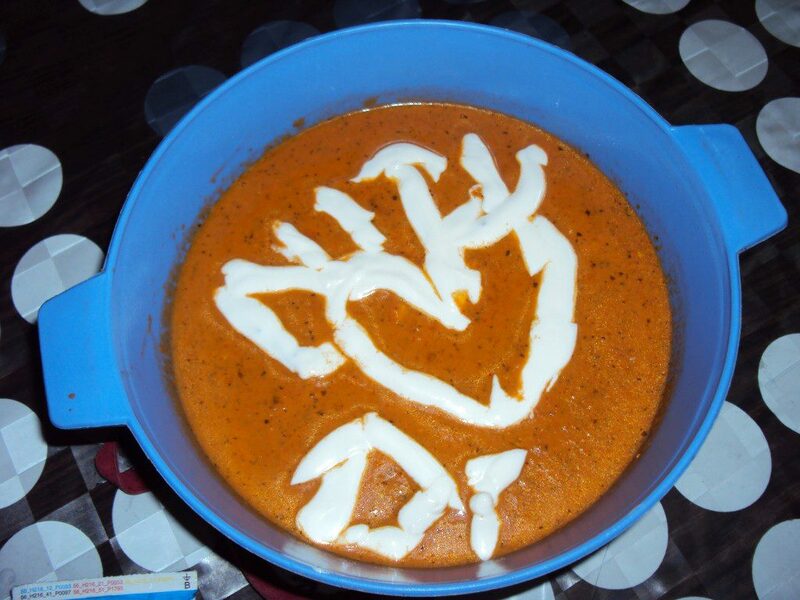 This entry was posted in Everything Vegetarian, Gluten Free, Indian Restaurant Dishes, Jain recipes, Paneer and tagged paneer, tanduri spice, vegetarian. Bookmark the permalink. Home made paneer is always the best..even I prepare at home.Bhurji looks delicious. ¡Que rico!, con el queso que vi en tu video.